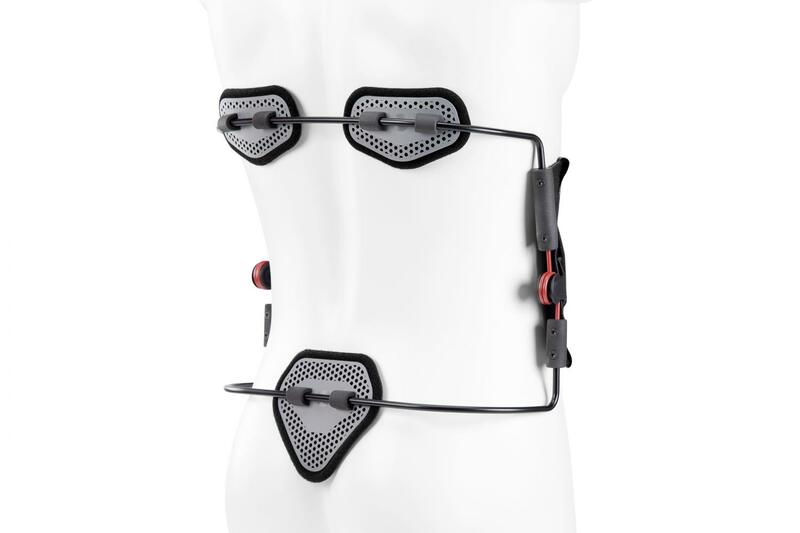 The Dyneva is designed specifically to actively relieve pain in movement for patients with spinal stenosis and severe back pain. This device allows patients to potentially walk longer distances and participate actively in their daily life. 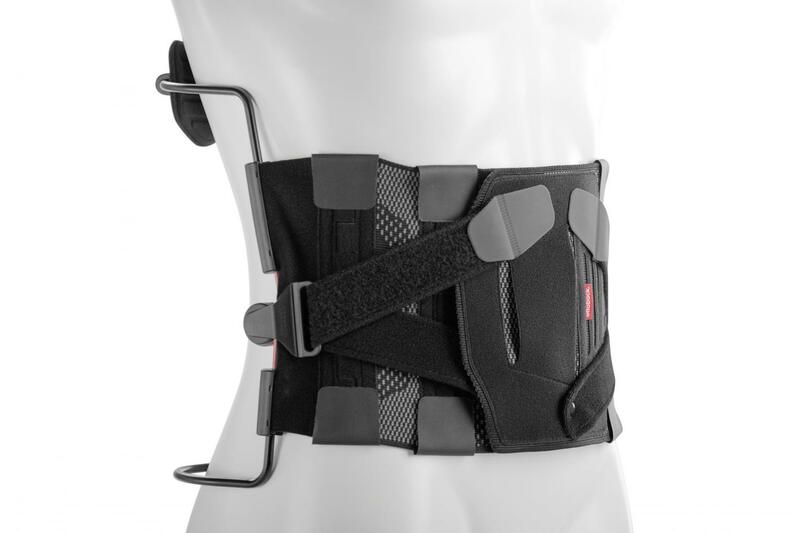 The proven three-point principle with the dynamic realignment spring and the lumbar frame facilitate a torque that reduces lordosis and has a straightening effect during dynamic movement. It can correct segments in the frontal and sagittal planes. It can reduce pain and increase the mobility of patients. The unique approach in this product is, that aching back is free of any orthotic construction.